Real 3D Graphics without the need for Glasses. 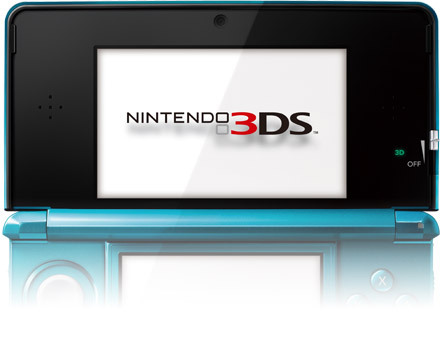 The Nintendo 3DS brings a whole new world of gaming to the palm of your hands. The experience and game-play with the added ability of real 3D graphics makes this the first of its kind. The Nintendo 3DS is truly a cutting edge gaming device that has to be seen to believe. 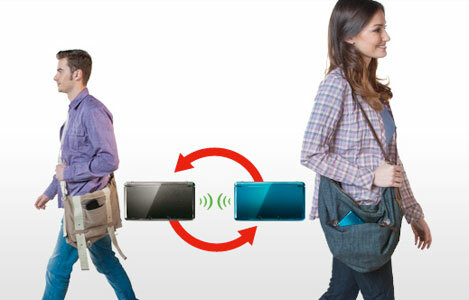 Just like the Nintendo DS the Nintendo 3DS has dual screens. The system opens up to some eye-popping game play and graphics. The upper 3D display screen gives the game some depth and space that extends deep into the back of the screen. With the built-in 3D Depth Slider, you can now adjust the intensity of the 3D settings or even turn it off to make 2D game play if you prefer. effects to that of the 3DS games. 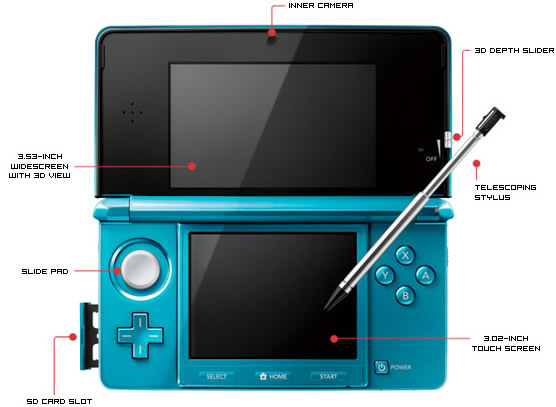 #Almost every DS and DSi will be able to be played on the 3DS in 2D. Your existing games will be able to be played and look exactly the same. 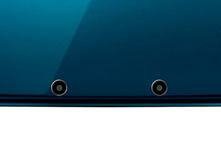 With a built in Motion and Gyro sensors, games will react to simple twisting, turning, and tilting of the 3DS. A new line of motion capable games will allow this new gaming experience and the 3DS games respond instantly. lets people organize their own Meetups to exchange StreetPass content and get to know fellow players in their area. See if there's a Meetup in your neighborhood today. 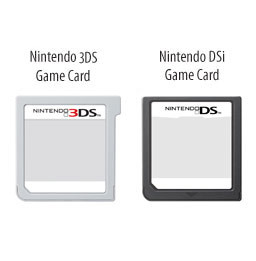 # Nintendo DS and Nintendo DSi games will be displayed in 2D graphics. Select Nintendo DS games that use accessories in the Game Boy™ Advance slot of the Nintendo DS system are not compatible with the Nintendo 3DS system.